Sat., June 23, 2018, 5:01 p.m. 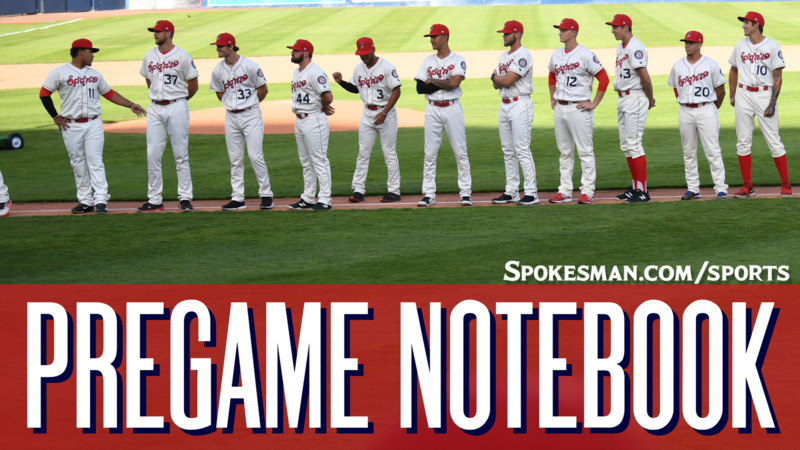 The Spokane Indians (2-6) host the Vancouver Canadians (2-6) in the first of a three-game Northwest League series at Avista Stadium at 6:30 p.m. The Indians send RHP Tai Tiedemann (0-0, 2.25) for his second start of the season against Vancouver LHP Jordan Barrett (0-0, 1.93). This is Tiedemann’s second season in Spokane. In his first outing of the campaign, the tall righty tossed four innings and allowed one run while walking two with two strikeouts. Barrett is making his third start, second for the Canadians. He made one start for the AA New Hampshire Fisher Cats. In his first NWL appearance he walked three and struck out five while allowing three hits and one run. Last night: Olivier Basabe reached via error then scored the go-ahead run on a sacrifice fly in the seventh inning and the Dust Devils (5-3) topped the visiting Indians (2-6) 5-3 at Gesa Stadium. Heating up: INF Diosbel Arias is hitting .407 in 27 at bats this season. He picked up three hits and scored twice in the Indians’ 11-inning loss on Thursday. OF J.P. Martinez had two doubles and a walk in Friday’s loss. Jonah McReynolds also had two hits, scored and drove in a run. Injury update: Hans Crouse made his first start of the season on Thursday and pitched two innings. According to manager Kenny Holmberg and pitching coach Jono Armold, Crouse had no complications. The Texas Rangers No. 4 prospect allowed one run on one hit with three walks and a pair of strikeouts. “No issues,” said Armold. “He came out there a little overamped, had some good adrenaline. First time getting away from Arizona complex. Promotion: Storybook Princess Night. Wear your tutu and get pictures with Belle, Anna and Elsa. Weather: Cloudy. Game time temp 78 degrees, final out 68. Published: June 23, 2018, 5:01 p.m.